Access to finance is a challenge for entrepreneurs across the world. In Africa, entrepreneurship and innovation are said to be the key to development. Small and medium-sized enterprises (SME's) are the primary job creation engine in Africa, accounting for over 95% of firms and 60%-70% of employment. However, SME's on the continent report access to finance as the biggest obstacle to growth. There is no lack of good ideas. Yet, young African entrepreneurs struggle to access the funds needed to bring their ideas and businesses to scale. Malaik, a global portal for high impact investing in African businesses, today launched a call for applications to African entrepreneurs with impact focused businesses. The portal offers opportunities for the global crowd to invest in Africa's growth story. growing high impact businesses that could not only positively impact Africa, but the world, "said Neku Atawodi, Founder and CEO of Malaik. Access to finance has always been a tough challenge to overcome and people have typically not wanted to invest in African businesses as they have historically been considered too risky. However, the African narrative is changing for the better and the continent's exponential growth in the last decade shows that an investment in impact focused African businesses can yield high returns." Since the launch of the portal, Malaik has fully funded its first company i-Drop water to the tune of over a quarter of a million dollars and has been chosen to demo its unique innovation on stage at one of Europe's largest technology in finance conferences FinovateEurope 2016 in London from the 9th-10th of February. FinovateEurope is one of the biggest financial conferences in Europe and attracts the most notable players in financial services technology from across the world. Malaik will be the only African company demo'ing at the conference. 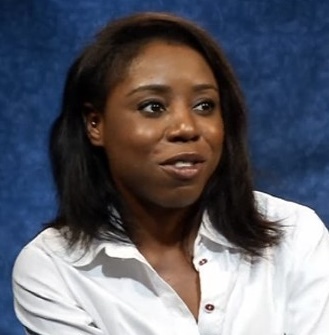 "Young companies all over Africa face a scarcity of funds to fuel their growth," said Atawodi. "Apart from banks and occasional angel investors, there is often nowhere to turn. Malaik is turning this crisis into an opportunity for start-ups and investors alike by offering stakes in young African companies to the crowd. Our unique impact tracker means that investors can track their investments' impact on the platform." Entrepreneurs across Africa are encouraged to submit their applications to join the Malaik platform as an opportunity to raise funds for their businesses. Open to start-ups with high impact, innovative, original and diverse ideas ready for potential investment. On passing Malaik's due diligence, start ups now have the opportunity to attract a diverse crowd of investors and supporters via equity finance. Malaik is a global portal for high impact investing in African businesses, offering opportunities for the crowd to invest in Africa's growth story. Malaik's impact-focused approach to equity crowdfunding is unique and focused on Africa. Malaik gives investors access to the continent's opportunities, and mediates its risks with a four step due diligence process. This combination is a fresh application of technology that can unlock massive potential in the world's most promising markets.